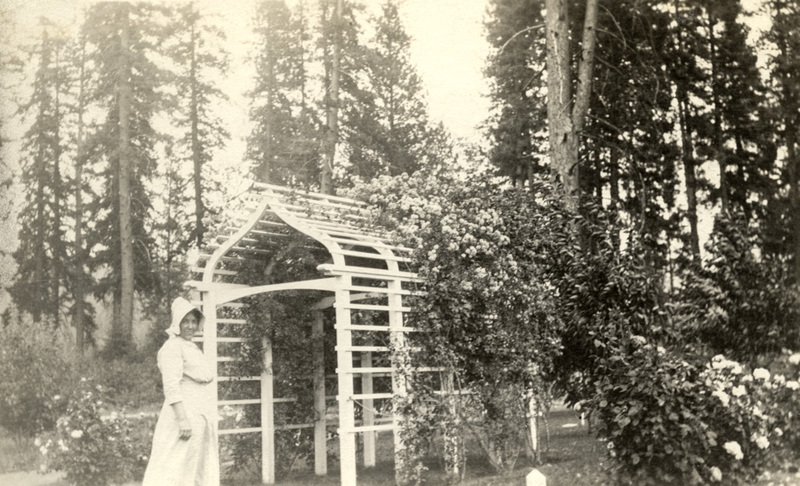 Billy Sunday's wife, known to most as "Ma Sunday," kept a rose garden at their house in the Hood River valley. I wonder if any of these bushes have survived? Certain varieties of rose can survive untended for more than a century. There's a great example of a rose bush planted by 19th century homesteaders at Columbia Hills Park east of the Dalles. Is that where the street name Sunday Dr. in Mid-Valley arose (pun intended)? I have a rose bush that looks similar to this one. It is from a start we gathered at the site of the old school house attended by my husband's grandmother. The school is gone, but the rose bush is still there. Most of the time I keep my rose bush mowed down. It is a tenaciously and voraciously stubborn, thorny, flesh eating monster. Wikipedia has a good biography of Helen Amelia Thompson Sunday. Yes, Sunday Drive is named after the Sundays. The Wikipedia page for Billy Sunday mentions Hood River, though seems to say they only spent time at the ranch in Hood River between 1909 and 1911. Articles in the Hood River Glacier show he continued to own the ranch and visit here at least through1922 (the latest editions in the online archive). Herman, click on the tag Sunday and you will see a photo of their barn. Also these two photos for some good comments from Charlott. Ma Sunday was the force behind their ranch in the Odell area. Billy just basically visited as he was out doing his "hell and brim stone" preaching.